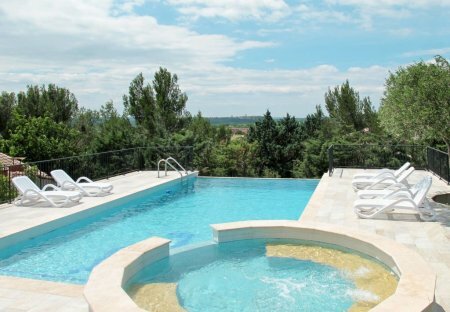 Rent villas and houses in Saint-Hilaire-d'Ozilhan, the South of France with private pools. This 4 bedroom house is located in Saint-Hilaire-d'Ozilhan and sleeps 8 people. This four bedroom holiday villa enjoys a quiet location, next to the Rouge Garance winery and just 500 metres from the village of Saint Hilaire D'Ozilhan. This delightful three bedroom holiday villa is situated just 5 km from Remoulins and is a fantastic base for a relaxing holiday in the Gard.